We, at NUVIAD, have been using Amazon Redshift as our main data warehouse solution for more than 3 years. Over these 3 years we saw our cluster growing from 3 nodes to 65 nodes storing massive amounts of transaction data, which needed to be accessed by our users frequently. When running Real-Time-Bidding (RTB) campaigns in large scales, data freshness is critical for our customers and partners. Fresh data means that our users can decide faster and respond quicker changes in campaign performance. 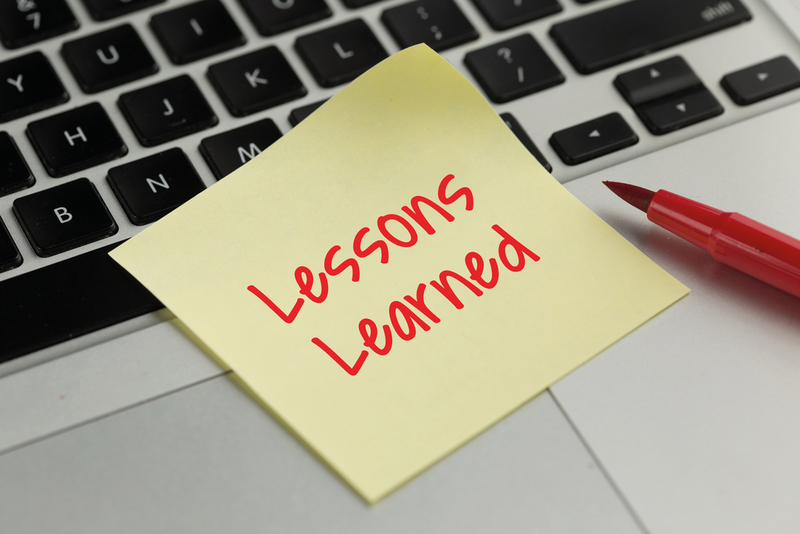 This was the main reason we allowed our users to query the data stored in Amazon Redshift regardless of the way they run campaigns – whether through our dashboard or using APIs, our goal is to present most up to the minute information. As the number of customers grew, so did our cluster. And our development team periodically needed to address the growing demand for up-to-date data and performance of the different campaigns. Trying to balance cost and performance meant that our cluster operated on a very high CPU capacity most of the time with too many frequent peaks of 100% CPU over all the nodes. Adding additional nodes in production environment is also a delicate task which required data migration and even down time while the resizing process runs. Things got much simpler with the introduction of Amazon Redshift Spectrum. In this blog post I will share our experience and insights using Redshift Spectrum, Glue and Athena. I will also provide code samples in node.js pseudo code focusing on the logic and idea behind the process rather on the detailed copy/paste type of code. What is Amazon Redshift Spectrum? In a nutshell Redshift Spectrum (or Spectrum, for short) is Amazon Redshift query engine running on data stored on S3. It is a new feature of Amazon Redshift that gives you the ability to run SQL queries using the Redshift query engine, without the limitation of the number of nodes you have in your Amazon Redshift cluster. The ability to provide fresh and up-to-the-minute data to our customers and partners was always a main goal with our platform. When other solutions provided data few hours back, we insisted on providing the most updated data – and that meant for us allowing our customers to query Amazon Redshift directly and analyze their data near real-time. The benefits were immediately evident, customers could see how their campaigns performed in real-time and react to the ever-changing media supply pricing and availability. However, the impact on the cluster was evident as well. The cluster was pretty much always at 90% CPU utilization. Furthermore, this approach required the cluster to store data for long periods. In our peak, we maintained a Redshift cluster running 65 dc1.large nodes. Even this configuration was limiting to us. Migrating our data warehouse to Redshift Spectrum allowed us to overcome these two main limitations. Having S3 as storage engine allows practically limitless data capacity and using the Spectrum distributed compute engine over thousands of nodes provides superior performance and separation between compute and storage which is very important for flexibility, scale and cost. 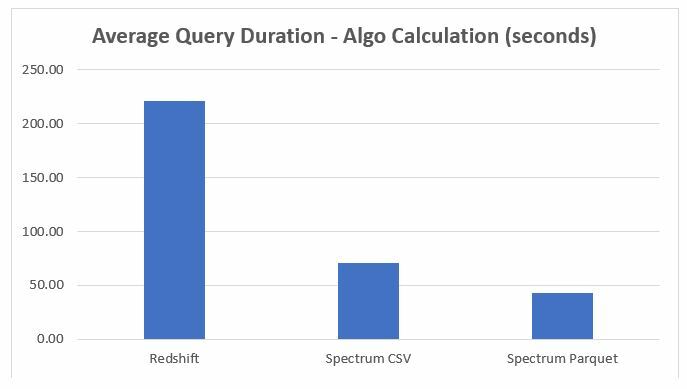 Furthermore, since Spectrum distributes the query across potentially thousands of nodes, queries are not affected by other queries, providing much more stable query performance and higher concurrency compared to the “traditional” Redshift cluster. Redshift Spectrum uses the same query engine as Redshift – this means that we did not need to change our BI tools or our queries syntax, whether we used complex queries across a single table or run joins across multiple tables. Another interesting addition introduced recently is the ability to create a view that spans Amazon Redshift and Redshift Spectrum external tables. When running a “traditional” Amazon Redshift cluster adding nodes to the cluster may be a process that requires stopping the cluster or taking a snapshot, restoring the snapshot to a new cluster, performing the resize on the new cluster and then moving changing the end points to the new cluster. The former results in a long service disruption while the latter takes more time and costs more money but results in a shorter service disruption. Scaling Redshift Spectrum is a much simpler process. First, it is practically unlimited in storage since all the data is stored on S3. If you need more compute power you can simply launch a new cluster. All your Spectrum clusters access the same catalog so you don’t need to worry about data migration at all making scaling practically effortless and seamless. Redshift Spectrum – Athena on Steroids or is it the other way around? The obvious question is where Spectrum is positioned amongst Redshift and Athena. On one hand Spectrum uses the same query engine as Redshift and on the other hand it uses data stored on S3 – similarly to Athena. During the migration phase, we had our dataset stored in Redshift, S3 as CSV/GZIP and as Parquet file formats so we performed benchmarks for simple and complex queries on one month’s worth of data. We tested both how much time it took to perform the query and how consistent the results were when running the same query few times. The data we used for the tests was already partitioned by date and hour. Partitioning the data significantly affects the performance and improves query times. It is clear to see how much Parquet format is more efficient than CSV. Furthermore, Spectrum outperforms traditional Redshift and shows high consistency in the execution time with small difference between the slowest run and the fastest run. Since you pay only for the data scanned by every query the cost saving is evident and substantial. 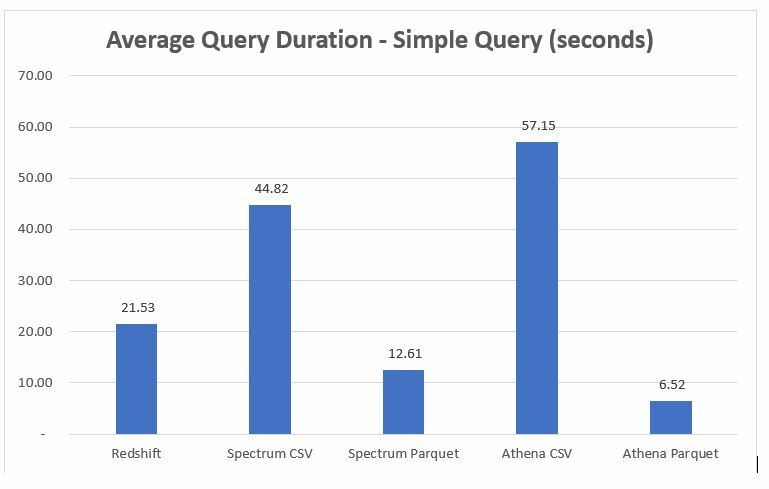 Bottom line: Since Spectrum and Athena are using the same data catalog, we could utilize the speed of Athena for simple queries and enjoy the benefit of running complex queries using Redshift’s query engine on Spectrum. Use Amazon Kinesis Firehose to offload data directly to Redshift. Offload the data from each server to S3 and then perform a periodical copy command from S3 to Redshift. When we initially implemented the data offloading process, AWS Firehose did not support copy options or using your own copy command. As a result, if a single event failed copy to Redshift the entire transaction failed. So, we ended up using method No.2 and specifying a ‘MAXERROR 999’ option in the copy command. We preferred to lose few events out of thousands we had every minute than lose the entire transaction. Although, Firehose updated some time ago with the ability to add copy command options we kept the same collection process that worked flawlessly for almost 3 years. This, obviously changed when we moved to Spectrum. Collect the event data from the instances. Save the data in Parquet format. The best option would be if AWS Firehose could save data as Parquet. Unfortunately, this is not available yet. So, we need to save the data as CSV and then transform it to Parquet. Send the data from the instances to Amazon Kinesis Firehose with S3 temporary bucket as the destination in one minute intervals. Aggregate hourly data and convert it to Parquet using Lambda and AWS Glue. Add the Parquet data to Spectrum by updating the table partitions. With this new process, we had to give more attention to validating the data before we send it to Amazon Kinesis Firehose since a single corrupted record in a partition will fail queries on that partition. In the past, we could “rely” on Redshift copy command to filter errors but now we need to verify the data ourselves. One of the key realizations we had while testing various Spectrum configurations, is that since the cost of S3 is relatively cheap and you pay only for the data scanned by each query it may make sense to keep your data in the most effective way for different workloads. With Spectrum, you pay for the data scanned in each query, so if the data is partitioned by, let’s say, date and hour, you pay on average 30 times more than you need since you just need a single minute out of the whole hour. But, if we use a temporary table that points only the data of the last minute, we save that unnecessary cost. It is important to note, you can have any number of tables pointing to the same data on S3 it all depends on how you partition the data and update the table partitions. You can even, store the Firehose data in one bucket, process it and move the output data to a different bucket, whichever works for your workload. The above statement defines a new external table (all Redshift Spectrum tables are external tables) with few attributes. Please note that we stored ‘ts’ as unix time stamp and not as timestamp and billing is stored as float – not decimal (more on that later on). We also said that the data will be partitioned by date and hour, will be stored as Parquet and the location of the data on S3. This Delivery Stream aggregates event every minute or up to 100MB and then writes them to the S3 bucket as a GZIP compressed file. Now, we have a single CSV file representing one minute of event data stored in S3. However, the files are named automatically by Firehose. Kinesis Firehose adds a UTC time prefix in the format YYYY/MM/DD/HH before writing objects to Amazon S3. Since we use date and hour as partitions we need to change the file naming and location to fit our Spectrum schema. We created a simple Lambda function that is triggered by S3 put event and copies the file to a different location (or locations) while renaming it to fit our data structure and processing flow. Some explaining is in order here. Firehose stores the data in a temporary folder. We then copy the object to another folder that holds the data for the last processed minute connected to a small Spectrum table where the data is being processed without needing to scan a much larger data set. Then we copy the data also to folder that holds the data for the entire hour to be later aggregated and converted to Parquet. After the data was processed and added to the table, we delete the processed data from the minute storage and temporary Firehose storage. As I described above, we store the data for hourly aggregation and conversion to Parquet. I will not get too much into Parquet (you can read all about it here at https://parquet.apache.org/ or https://en.wikipedia.org/wiki/Apache_Parquet) but enough to say that Parquet is a columnar format that provides superior performance and allows Spectrum (or Athena) to scan significantly less data. As a result, queries run faster and you pay less per query. The simplest way we found to run an hourly job converting our CSV data to Parquet is using Lambda and Glue (and thanks to the awesome AWS big data team for their help with this). Note: Since Spectrum and Athena use the same AWS Glue Data Catalog we could use the simpler Athena client to add the partition to the table. We had to experiment with few floating-point formats until we found that the only combination that worked was to define the column as double in the Spark code and float in Spectrum. This is the reason you see billing defined as float in Spectrum and double in the Spark code. Using CloudWatch events we trigger this function hourly. What this function does is triggers a Glue job named ‘convertEventsParquetHourly’ and runs is for the previous hour passing to the Glue Job names and values of the partitions to process. Our dev stack is based on Node.JS – Node is particularly suited for high speed, light servers that need to process huge amount of transactions. However, few limitations of the Node.JS environment required us to create workarounds and use other tools to complete the process. Lack of Parquet modules for Node required us to implement Glue/EMR process to effectively migrate data from CSV to Parquet. We would rather save directly to Parquet but we couldn’t find an effective way to do it. One interesting project is in the works developing a parquet NPM by Marc Vertes called node-parquet (https://www.npmjs.com/package/node-parquet) but it is not in production state yet. Well worth following on the progress of this package. The result is that you cannot store Timestamp correctly in Parquet using Node.js. The solution is to store Timestamp as string and cast the type to timestamp in the query. Using this method, we did not witness any performance degradation whatsoever. Data validation is critical. As mentioned above, a single corrupt entry in a partition can fail queries running against this partition. It is even more true when using Parquet which is harder to edit than simple CSV file. Make sure you validate your data before scanning it with Redshift Spectrum. One of the biggest benefits of using Redshift Spectrum (or Athena for this matter) is the fact that you don’t need to keep nodes up and running. You pay only for the queries you perform and only for the data scanned per query. Keeping permutations of your data for different queries makes a lot of sense in this case. For example, you can partition your data by date and hour to run time based queries and have another set partitioned by user_id and date to run user based queries. This will result in faster and more efficient performance of your data warehouse. Create small tables to commonly used queries. When we started using Spectrum we witnessed our Redshift costs jumping by hundreds of dollars per day realizing that we scanned a full day worth of data every minute. Take advantage of the ability to define multiple tables on the same bucket / folder and create temporary and small tables for frequent queries. Use Parquet whenever you can. The benefits of Parquet are substantial. Faster performance, less data to scan and much more efficient columnar format. However, it is not supported out-of-the-box by Amazon Kinesis Firehose, so you need to implement your own ETL. Moving to Redshift Spectrum also allowed us to take advantage of Athena since both use the same data catalog. Run fast and simple queries using Athena while taking advantage of the advanced Redshift query engine for complex queries using Spectrum. Spectrum excels when running complex queries where you can take advantage of Spectrum’s ability to pushes many compute-intensive tasks, such as predicate filtering and aggregation, down to the Amazon Redshift Spectrum layer, so queries use much less of your cluster’s processing capacity.